Despite the deforestation that takes place around the world, there are still plenty of incredible forests to enjoy. From Canada to Poland, some of the best sights to check out are the local trees. It doesn’t matter whether the forest is large or small. Amazing beauty can be contained in just a few special trees. 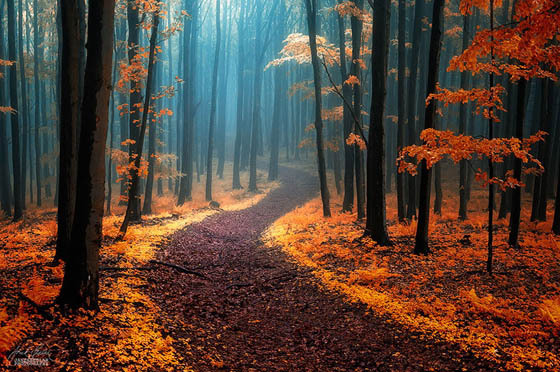 Take a look at the list of most beautiful forests in the world. Poland has a very interesting forest made up entirely of crooked pine trees. While a few trees growing in an odd fashion might have a reasonable explanation, all of the pine trees in the Crooked Forest are crooked in the same way. 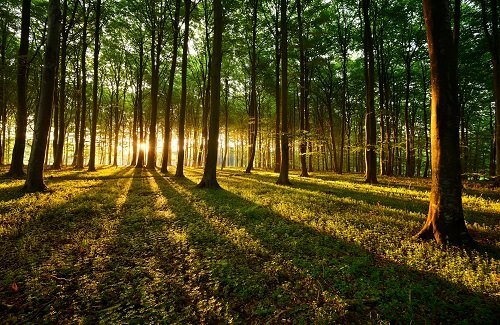 The entire forest is made up of only 400 or so trees, but it has been around since the 1930’s. Theories abound as to what caused the odd bends, but one suggests that tanks rolled over the trees during the war. No one can hear the word ‘rainforest’ without thinking of the Amazon. The jungle is so massive that it spreads over nine different countries and covers a total of 5,500,000 square kilometers. Despite deforestation problems throughout its history, the Amazon rainforest still makes up more than half of the world’s rainforests. Jiuzhaigou Valley is known as the valley of nine villages and is a popular destination thanks to its brightly colored lakes and amazing waterfalls. The land around the unique lakes and falls is covered in thick forest. The trees grow over a wide range of altitudes, from around 2,000 meters above sea level to about 4,500 meters above sea level. The area was declared a World Heritage Site in 1992, which will help preserve the forest in the future. Located in Arizona, the Coconino National Forest is a high elevation forest, with trees growing along mountains at up to 12,000 feet. The majority of the trees are either aspen or Ponderosa pines, making a beautiful mix of foliage. The Coconino is so named because it runs over the Mogollon and Coconino plateaus. For anyone who enjoys hiking, there are plenty of interesting trails to explore in the area. When you think of rainforests, you probably think south of the border, rather than north. The Great Bear Rainforest is one of the largest intact temperate rainforests remaining anywhere and it stretches from British Columbia to Alaska. The forest is home to many species, including grizzly bears, black bears, cougars, salmon and wolves. Flora includes a 1,000 year old Western Red Cedar and a Sitka Spruce that has grown to 90 meters in height. Image By photojenni,conner395,Fiore S. Barbato,icelight Under CC License.